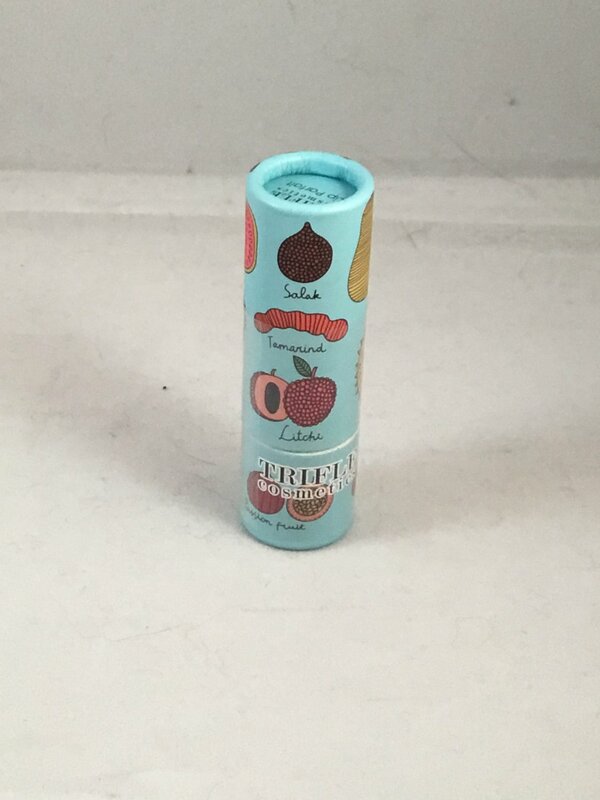 Trifle Cosmetics Lip Parfait - Exotic Fruits. "A lip treatment and lipstick in one beautifully whimsical stick, Lip Parfait applies like butter to impart a soft, moisturizing shade of color to your lips. Infused with cocoa butter to keep lips plumped and hydrated all day long, as well as silicon-coated color pigments so the color is never dull or feathery, and lips look refreshed, hydrated and super soft." This is brand new and sealed. This is the full size at 3.5 g / .12 oz. Retails for $12.